The Citizens Against the Wall, known as CATW requested the auditor look at three violations of UDOT policies. CATW representative, Tom Farkas felt his group made correct allegations that UDOT was in violation of their internal policies by building a combination berm-wall. He said UDOT policies only account for a wall structure to mitigate noise. Auditors said it was not a violation but recommended that the agency add the berm option to their noise abatement policies. CATW claimed UDOT didn’t do the correct cost calculations because they did not include the cost of the berm portion of the noise barrier. The audit found UDOT doesn’t have to account for the cost of the berm if it’s not part of their cost criteria. However, the audit now requires that for future projects, UDOT must include all the costs that go into a noise barrier project. 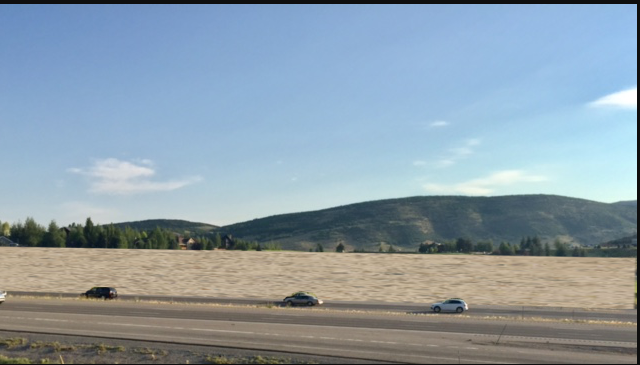 The third area CATW challenged was UDOT’s definitions of mixed land uses and combining costs to justify the construction expense of the noise barrier. “There is no language for mixed land uses or combined cost criteria in UDOT noise policy or in federal guidelines. Then, instead of acknowledging that they didn’t meet their cost criteria, they just moved on and came up with another proposal for the berm/wall which we already discussed, wasn’t in their policy. They claim that the berm/wall met that cost criteria but again, since they neglected to include the cost of the berm, when that is added in, they did not meet that cost criteria." Farkas said officials told his group that if they did not like what they were doing, they should sue UDOT. He said the audit did not respond to CATW’s request to establish an adjudication board where UDOT would address citizens issues with out litigation. Farkas said UDOT issued a construction contract for the noise wall in June of 2017 and that they were going to build the wall regardless of public input. Representatives of the Utah Department of Transportation came to the Summit County Council Wednesday to address concerns by citizens. UDOT responded point by point, to criticism that they haven't followed their own process to plan a noise wall between Interstate 80 and Jeremy Ranch. On todays show our first guest was Utah State Representative for district 53, Logan Wilde. He was in to talk about upcoming legislation and other hot button issues like education, the new DUI law, rural jobs and air quality. Tom Farkas from Citizens Against The Wall was in to outline his concerns about UDOT"s noise barrier along I-80. Olympic Gold Medalist Nordic Skier, Billy DeMong and Marketing Director with the Utah Olympic Legacy Foundation, Melanie Welsch, had an overview of the winner take all Olympic qualifiers coming up at the Utah Olympic Park this weekend.